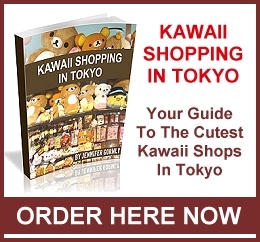 A place for all things kawaii and cute. Since you’ve seen some of the wonderful Christmas gifts I received this Christmas, I thought you might like to see some of the gifts my husband and I gave. We did most of our Christmas shopping in Japan so many of the gifts are fairly unique. Sadly, I did not photograph everything (I was too eager to start wrapping) but I hope you will enjoy the pictures I did take. Several of the gifts we brought back from Japan were sweets and chocolates. There are so many amazing choices in Japan that I just couldn’t help myself. And they are all so beautifully packaged! This post will focus on some of the edible gifts we brought back. I will save the other gifts for another day. First up is a gift pack of traditional Japanese candy. On the right side of the pack is traditional Japanese star candy. I don’t eat a lot of hard sweets like these, but I do love star candy. On the left are hard sweets made to look like fruit and vegetables. I purchased this set for my niece at one of the traditional Japanese candy stores in Kawagoe. I also picked up a small bag of star candy for another niece there and one for me. We also brought home a gift box of ‘Chocolate Crunch’ for my niece’s husband. We purchased this in Takayama, in the Japanese Alps. We spent quite a long time choosing which gift box to buy. There were so many to choose from and they all looked delicious! In the end, we chose this one as the contents looked yummy and the packaging was cute but stylish. I hope we made the right choice. 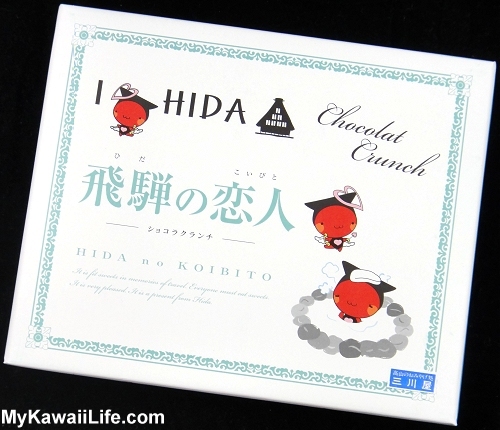 The little characters on the front are based on the Japanese good luck charm, known as Sarubobo. Sarubobo’s were originally given to women as a charm for a good marriage and healthy children. However, now they are given to everyone for good luck and to make bad things ‘go away’. Of course, they are now also a tourist icon from the Hida Takayama region of Japan. 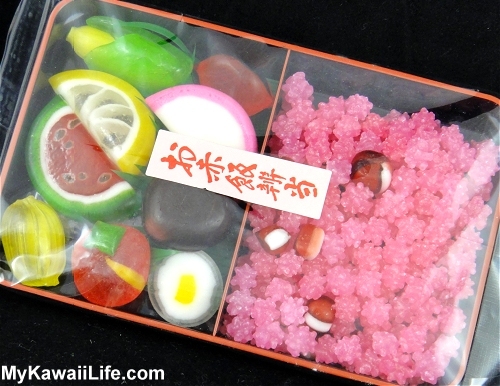 We also purchased a little tin of Sarubobo sweets from Takayama for my nephew, but I forgot to photograph them. These were just in a general store in Tokyo. I just thought they were cute, so I picked them up. They look like they are some sort of pink gummy lolly. I thought they might go well with the pink strawberry Kit Kat we also bought for her. Anyway, I hope they tasted nice. 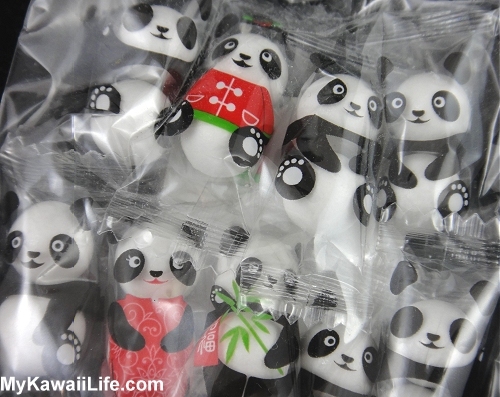 The last sweets I photographed are some panda lollies I found for my nephew in a candy store in Kyoto. I thought these were just so kawaii! The candy themselves are little white balls. They are packaged in groups of two, one on top of the other. There is printing on the packaging to make them look like pandas. I saw several versions of this sweet during our trip. One store even had a pack made to look like Pokemon. Of course, these aren’t the only sweets we brought back. Actually, my suitcase really did have a bit too much sugar in it! I’ll share more Japanese sweets with you in future blog posts and please keep an eye open for my next Christmas gifts post. We did buy some non-sugary gifts too. And, if you think any of these pictures are sweet, please Pin them to Pinterest. Thank you! 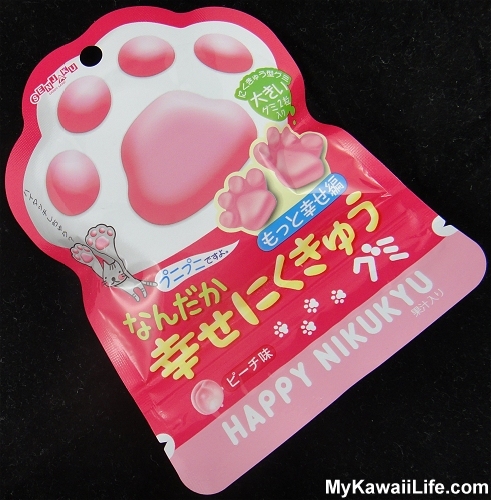 This entry was posted in Cute Food, Japan and tagged Cute Food, Japan, Japanese Candy, Japanese Chocolate, Pandas. Bookmark the permalink. 4 Responses to "Japanese Candy For Christmas"
OMG. You have such cute stuff on your site. Thanks for visiting my blog so that I could connect with yours! I would buy those candies but would never want to eat them…too cute! Looking forward to your upcoming posts! Thanks! Thanks so much for visiting my blog Bonnie. I know what you mean about the candies. I bought some others that I haven’t dared to open yet. Lol.